Joffrey Ballet School Jazz & Contemporary Summer Dance Intensive 2014! Labels: Classes, Joffrey Ballet School, Photos, What's Good! So I just got back this week from teaching Master Classes in West Union, Iowa. West Union where? Yep, West Union Iowa, population 2,486 according to the 2010 census. The unincorporated town is so small that it shares a zip code with the next town, shares the sheriff from the neighboring town writing traffic tickets part time, and use to have a dog designated as “The Mayor of West Union” until he was murdered… woof woof! Sabrina Schmitt is the vibrant and lively owner of Expressions Dance Studio of West Union, Iowa. A busy young dance professional herself, Miss Sabrina amazingly runs four locations in four separate towns! Anywho, Sabrina Schmitt contacted Joffrey Ballet School and I was matched with her fabulous dance studio to come teach a three-hour Master Class workshop in Jazz. Well, what an honor! The students at Expressions Dance Studio were so wonderful, so attentive, so nice, so passionate. I had a blast and loved every minute of it! I was so moved by their passion that I stayed a little extra longer to watch and help shape-up their competition solos and duets. Many of the young dancers choreographed their numbers by themselves. I was impressed! Look, the hospitality was so fabulous that I got presented with this fabulous sign!!!! Anywho, Miss Sabrina is the bomb! I gotta commend her dedication. She has the energy of the Energizer Bunny to run up and down the county roads from school to school teaching dance, preparing competition routines, and booking community performances for her students like the State Fair. She’s doing great work (and I say “the most important work”) by providing performance opportunities for her students, let alone introducing her students AND her community to the art of dance in an area quite remote from the type of dance opportunities one would find in a big city including the opportunity to even see dance professionally performed. Kudos to Sabrina! You Rock, Gurl!!!! I would like to give a special shout out to Expressions Dance Studio instructors, Miss Shelly Abernathy and, my assistant for the day, Miss Angel (Angelia Walvatne) who worked the dance floor with professional prowess. Muah! Photo of Sabrina’s Mom. That’s the serving window to the back patio deck of Sabrina’s family restaurant and bar, Alpha Tap! Umm Umm…. Good……………. Labels: Featured News, Joffrey Ballet School, Master Class Recaps, What's Good! Shout Out to my Joffrey Summer Students. See You Soon! Can’t wait to see my little lovelies. Miss you, so much!!!! Labels: Classes, Featured News, Joffrey Ballet School, Shout Outs! Once again, I will be returning to the Joffrey Ballet School Jazz and Contemporary Summer Dance Intensive 2014! I will be teaching almost everyday July 28 – August 15. Auditions for my piece will be at 4pm on Monday, July 28. I’m looking forward to a great summer of fun, creativity, passion, and dance. I can’t wait to see my old students and make new friends…..
”Locked outta Heaven” from my Joffrey Jazz & Contemporary Summer Piece Last Year 2013. Labels: Classes, Featured News, Joffrey Ballet School, Videos, What's Good! Can’t wait for my next master class teaching assignment this week! The Joffrey Ballet School Master Class Instructor Tour will be sending me to the far deeps of Iowa. We get it in! I will be teaching a three-hour dance workshop at Expressions Dance Studio in West Union, Iowa. My class will include teaching a full class of Jazz technique through across the floor, plus two combos of contrasting styles. Labels: Classes, Joffrey Ballet School, What's Good! What can be taught in 1 hour and 45 minutes? This can! 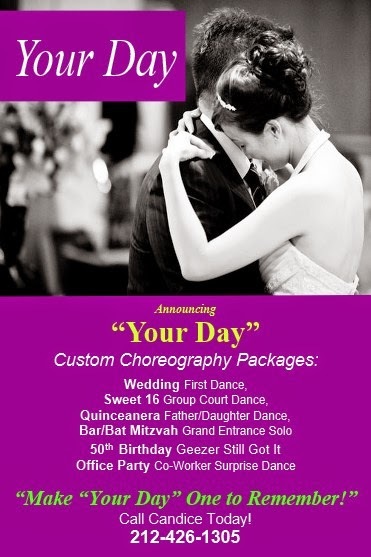 Routine created for Chez-zam Event Group. What is it like dancing with Miss Candice at Joffrey? Labels: Classes, Featured News, Featured Videos, Joffrey Ballet School, Videos, What's Good! I’m very excited to announce that I will be teaching master classes as a guest teacher daily at the Center for Performing Arts Dance Studio and Acting School in Methuen, Massachusetts! Labels: Classes, Featured News, Master Class Announcements, Pro DANZ Group, What's Good! Young Dance Academy… Always Fierce! Candice Teaching Master Classes in Milwaukee again! Labels: Classes, Featured News, Pro DANZ Group, Shout Outs! I am very excited to announce that I will be teaching master classes in Jazz near Vancouver in Lynden, WA August 23 – 27! 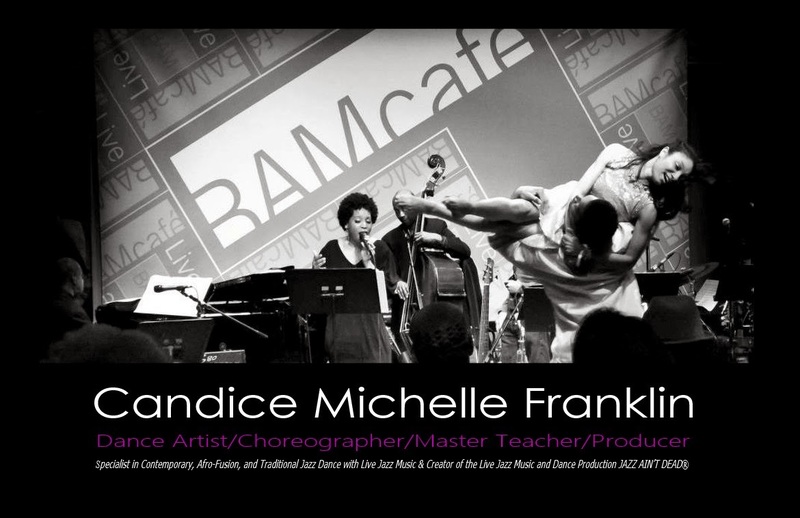 I will be teaching Master Classes in Jazz, Latin Jazz, and Contemporary as well as a teacher’s class during my stay. Looking forward to seeing everyone soon! On Tuesday, July 1, I was in Milwaukee and taught two master classes for four hours at the beautiful school, Next Step Dance Studio, one class to the young dancers and one class to the teens. This school is run by Terri Sinani who is doing an awesome job with her students. teaching you.... so much talent in the room! Til next time…..
Candice Teaching This Summer in Vancouver, Canada! I’m so excited to be guest teaching in Vancouver, B.C. Canada this summer at one of Vancouver’s finest ballet conservatories, Pro Arté Centre! I can’t wait to see these beautiful dancers in action. I will be teaching August 27 – 29 three classes of day of various levels of lyrical and jazz. Hope to see you there! Labels: Classes, Featured News, Pro DANZ Group, What's Good!